PRE-ORDER YOUR SIGNED EDITION HERE! I’ll second that, when is the next one coming out?! 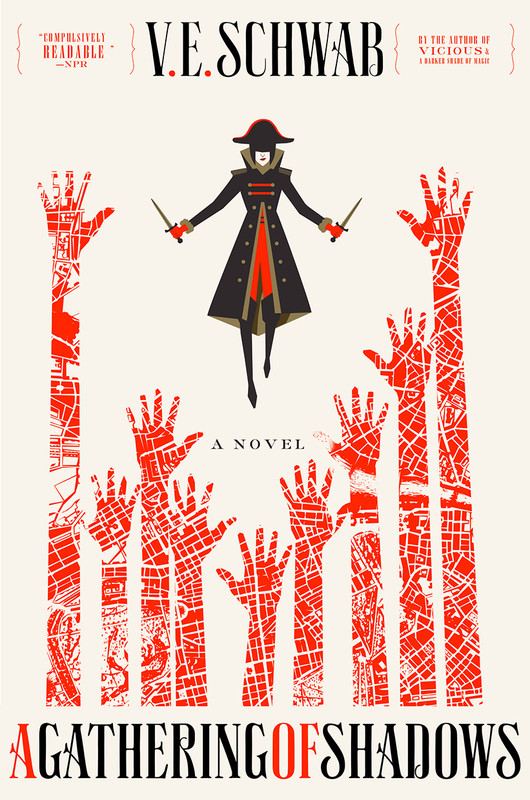 Just finished A Gathering of Shadows and can’t wait to see what happens next. Thank you buzzfeed, for your ridiculous lists and the one that brought me to these books! I was absolutely enthralled by this series, picked it up and devoured it. I couldn’t get enough of, not only these completely engaging characters, but also Schwab’s writing. I simply love the way her words read, I feel lifted into the magic. Every artifact, every character, every setting, every subtle force that animates as magic is completely real. I didn’t realize I was nearing the end of the second novel and swore audibly when my kindle suddenly cut out of the story, garnering some sideways glances on the subway. Any chance of a ballpark figure for the release of the third book? I will be watching and waiting for it. As far as I’m concerned, this author is a rare treasure, with the kind of voice I’m always looking for, but rarely ever find. i’m going to plumb her previous books while waiting for the next one and I am so glad I took a chance on reading her work. I’m waiting, not so patiently, for the next book in this series. Is there an estimated date? Please tell us when we can read what happens next to Kell & co…I can’t get enough of them! I was very lucky to see you in many panels @ Phoenix Comicon and you were one of my take-home authors (authors I met /learned about/added to my TBR shelf). I just finished ADSOM #2 and am now in line with the rest to wait. What does your writing schedule look like for #3?